If you live in Manhasset and have a cabana or outdoor kitchen, you know how important it is to winterize your equipment, appliances and plumbing in preparation for the frigid weather. But did you know that it’s also important to “summerize” before the summer hits? What kind of preparations need to be made for the summer? To winterize your equipment and plumbing, it’s important to remove all the cartridges and shut off the valves so they don’t freeze. In addition, it’s essential to remove all shower valves, drain the hot water heater, blow out all the lines, disconnect the main line from the house, and blow that line as well. In order to prepare for the summer, it’s essentially a reversal of the winterizing process. At Curley, we’ll get you ready for the summer and give you peace-of-mind in knowing that your equipment and plumbing will be in tip-top shape for your summertime rest and relaxation! Let Curley help you avoid costly repairs by “summerizing” in Manhasset! Enjoy a stress-free summer by calling Thomas Curley Plumbing and Heating today. Family owned and operated since 1972, our name carries a distinguished reputation where quality workmanship, honesty and follow-up are without compromise! Everyone at our team at Curley is committed to providing only the best service possible. We want to be the company you call for all your plumbing and heating needs! There’s no better group of people. Give us a call and see for yourself! 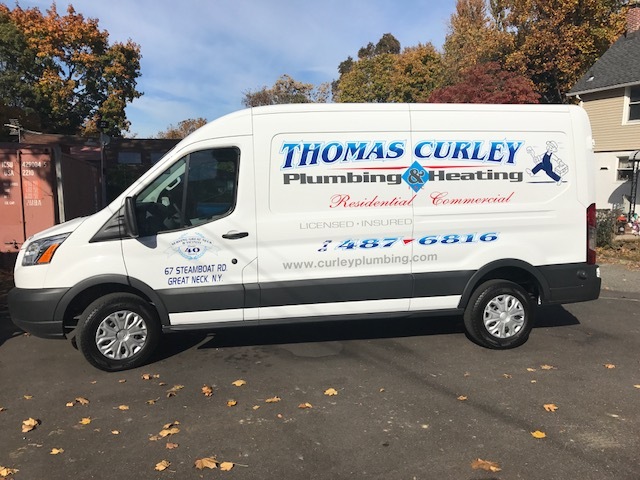 When you need a cure in Manhasset for your plumbing and heating, call Curley today!